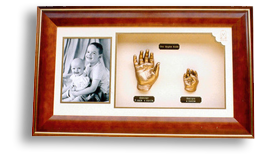 Now you can have your little one's hands and feet sculptured in gold or silver colour, mounted with an inscribed gold or silver plaque and presented in a custom frame. Beautiful impressions are taken on appointment at one of our branches. The beautifully finished product is available for collection in 14-28 days. 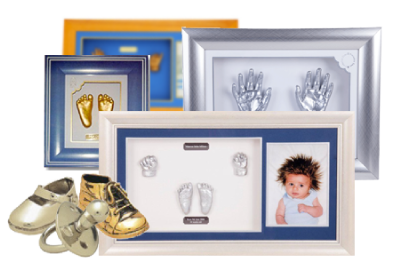 Twinkle Toes Baby Hand and Feet Sculptures are the perfect gift for any occasion - New Baby, Christenings, Naming Day, Starting School or to be given as a beautiful memento to Grandparents or God Parents to say "I Love You". 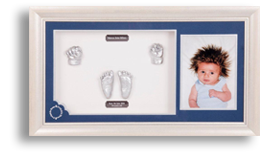 Matching custom frames for photos or birth certificates are also available. 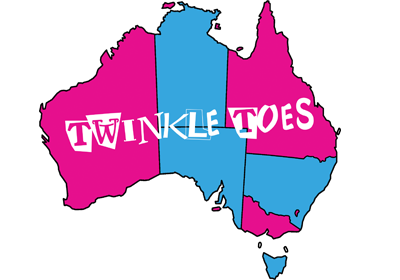 Twinkle Toes locations are across Australia. Click here to find your local Branch! 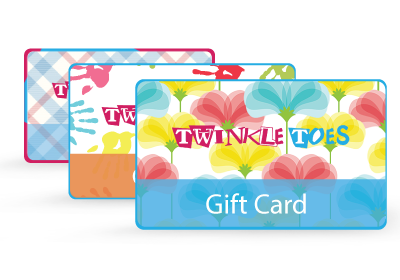 We provide a wide range of beautiful Twinkle Toes Products to suit every family. 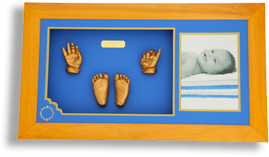 This year represents Twinkle Toes Baby Hand and Feet Sculpture's 20th Year! and we are proud to have produced unique sculptures for thousands of happy clients. Twinkle Toes has established a long-standing reputation as the pioneer and leader in quality baby and children sculptures. Every Twinkle Toes product is branded with a Seal of Quality to ensure it's authenticity.